Most break-ins are carried out by casual thieves who seek an easy opportunity to steal undetected. Burglars are unlikely to persist if they encounter locked doors and windows. Rapid entry and exit are the main factors any thief will consider vital. If you follow these tips from Eurofit you can be sure you stay one step ahead of the criminals at all times. 1. Deliveries – It’s important to cancel any newspaper deliveries or any parcels scheduled to arrive when you will be away from home for a long period of time. Arrange for a neighbour to push through any post that is left hanging half in/half out the letterbox as this is an obvious sign someone is not at home. 2. Garage – Make sure you have extra security beyond your garage door with a back-up door, any door connecting the garage to your home should be sturdy and securely locked when not in use. 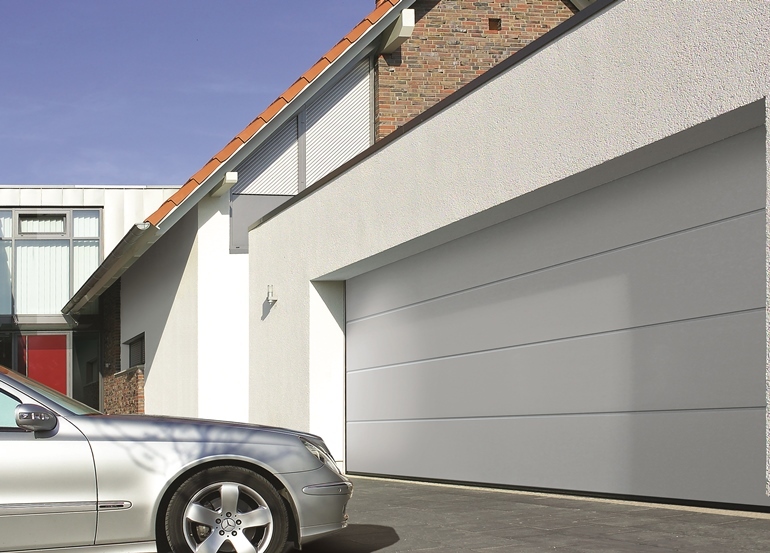 Ensure the garage door itself as well as any containers inside are fitted with secure locks. An electronically operated, metal up-and-over door with remote control and an anti-tamper alarm installed will provide a high standard of security. 3. Ladders – Keep ladders locked away! If they must be stored outside, padlock them to a wall with special brackets to prevent thieves using them as a tool to assist them in stealing your goods. 4. 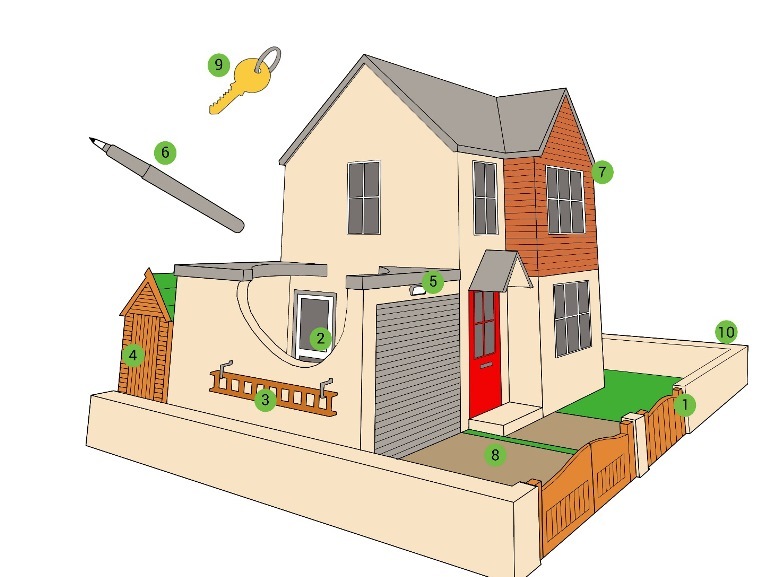 Sheds – Make sure sheds are securely padlocked. Tools stored there could be used for a break-in. A garden spade, for example, makes a powerful lever for opening windows. 5. Security Lights – Outside lights that switch on automatically when a sensor picks up movement outside the house can be a real deterrent to crime. Site them in areas of the house where a burglar may try to gain access, for example high above French windows at the back or over a garage door. One fitted above a front door will also help you to see who is calling at night. Site the sensor well out of reach of intruders. Bear in mind that most domestic situations do not require high power floodlights as well as extra sensitive lights, which can be a nuisance to neighbours. 6. Marking Valuables – Print your house number and post code on valuable possessions with a ultra-violet marking pen. This will help police prove they were stolen and assist in returning them. It is a good idea to mark valuables with an ‘invisible ink’ pen to prevent the thieves attempting to remove traces of your ownership. 7. Windows – As obvious as it seems never leave your window open when you’re not in. 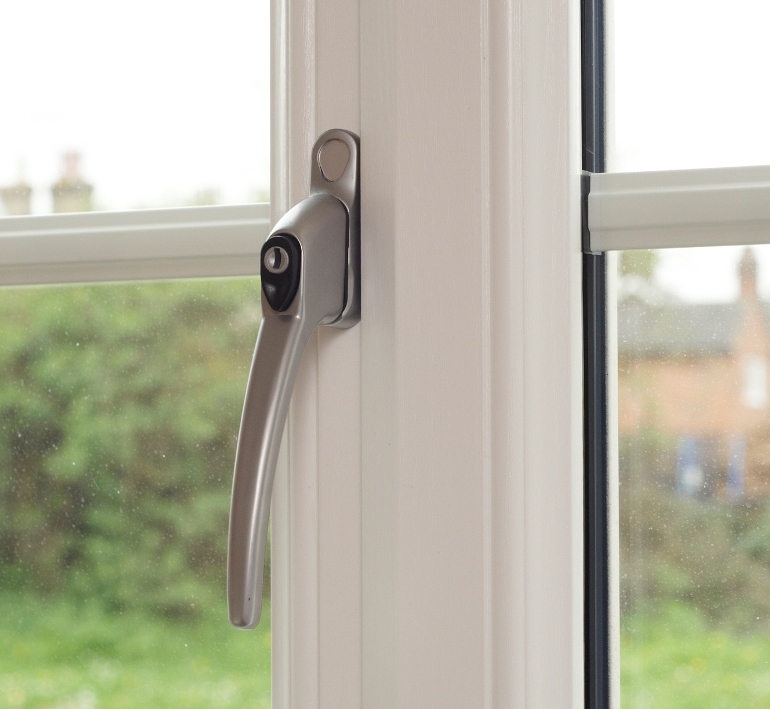 Fit locks to all windows, especially those with easy access (this could be near flat roofs/drainpipes/trees). If you live in an area where burglaries are frequent consider installing window bars or sliding metal grills. 8. Driveway – Consider the surface of your driveway, a gravel drive or path at the front of the house is a noisy surface and will alert you of any unwanted visitors quickly thus being a good deterrent. Tall gates at the garden boundary, particularly locked ones, are a very effective deterrent to burglars. 9. Keys – Never have a name-and-address tag on your keys as this is easy pickings for criminals. At most use your surname with a company address so they can be returned to yourself if lost and found by a good pair of hands. Never leave your keys in the locks, under the doormat, or hanging inside the letter box as these are obvious places to look for anyone wanting to burgle your home. 10. Hedges – Finally, avoid having high hedges and shrubs that will screen an intruder from being seen when attempting to enter your property. Keeping your greenery trimmed for visibility doesn’t mean it can’t still be decorative. It is important that if you see anyone loitering around your street or acting suspiciously, do not disturb them. Call the police then continue to watch unseen until they arrive. Neighbourhood Watch groups run in collaboration with the local police and are intended to encourage neighbours to work together by watching for anything suspicious in the area. 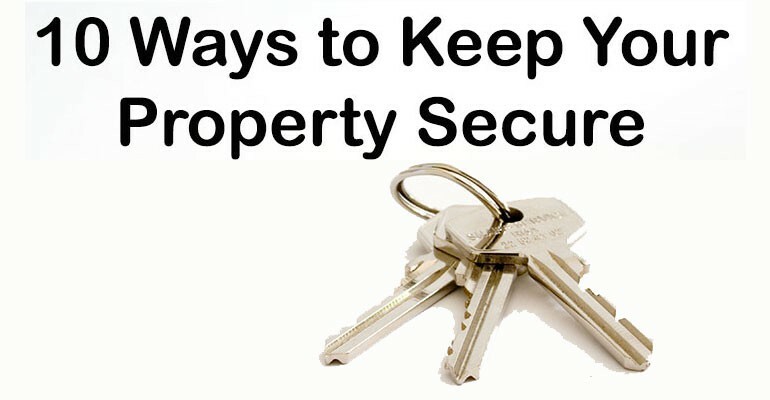 They also stress the importance of protecting property, and marking valuables. If you are interested in getting involved in such a group, contact your local crime prevention officer. As well as this another factor to consider is your home security gadgets and devices. Installing a CCTV system is a brilliant way to keep thieves away however they usually cost around £100+ to set up. A way around this cost is to install dud cameras that are not wired up or recording anything. The sight of a camera in itself will be a high incentive to keep a thief away. Finally nothing is more important than the humble home alarm, depending on your installer a tripped alarm can alert your neighbours as well as the police while having the added benefit of scaring off the intruder.